This was definitely the best sample sales I've been to so far. The Original Cult Outlet in Downtown's Arts District opened its factory up for a sick sale. I love living in LA. The Original Cult Outlet Sale carries the brands: Lip Service, Kill City, 24hrs, and Widow. 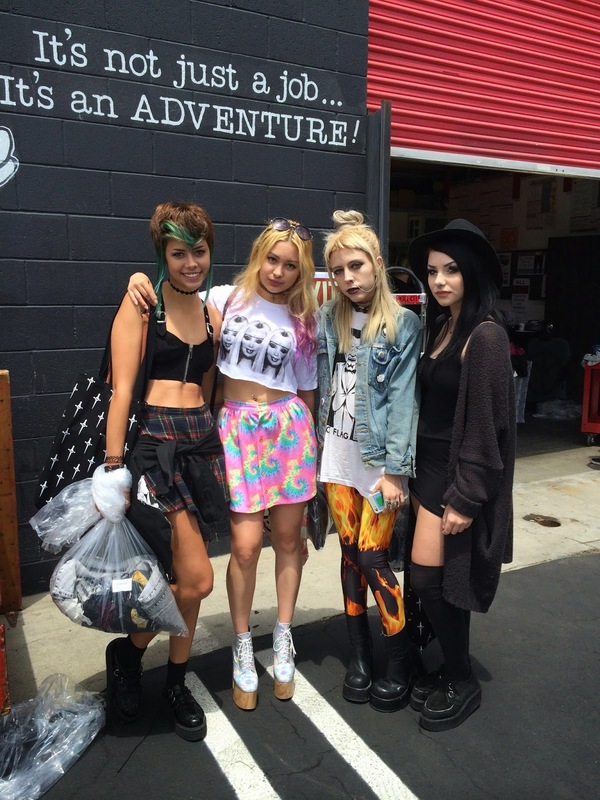 Other brands like Iron Fist and Nasty Gal was there as well. So this was my haul!!! I got a bunch of Lip Service stuff, some Super shop 24hrs stuff, and a cute Iron Fist wallet along with a bunch of patches and pins. It was all so cheap that I felt a little guilty walking away with my load hahaha! Looks like you got a bunch of gems at this sale!! :D Soooo awesome!!! Thanks babe <3 Yeah! I'm so lucky to live in LA to attend these sales where usually they are only sold online. We need to go shopping together sometime!! !